Dale Coski has been, in the course of her 59 years, alternatingly infuriating and inspiring. Infuriating to those who put up obstacles for people with disabilities. Inspiring to everyone else. 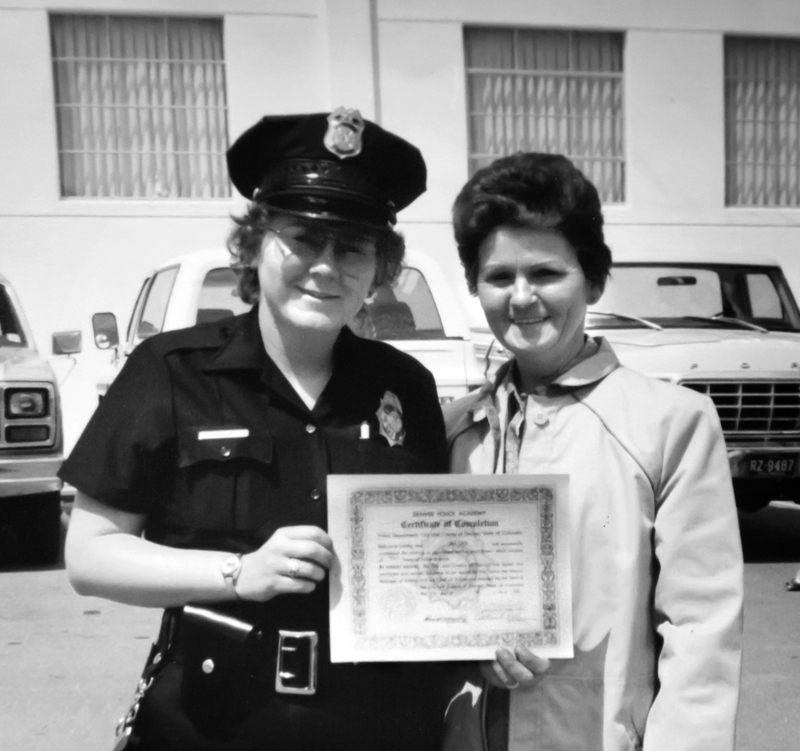 In September 1983 — less than two years into her job as a Denver police officer — Coski stopped to help a stranded motorist on I-70 and was struck by another car. Three decades later she’s still living with the results: a closed head injury, amputation of her left leg above the knee, quadriplegia. Before joining the police force, Coski had been a nun, a Cold War Army intelligence officer, and a school teacher on Chicago’s South Side. The common threads binding these chapters of her life are a passion for helping people and a yearning for independence. The police department forced her to retire, a move she fought all the way to the Colorado Supreme Court, where she lost the case. Coski wanted a chance to test for another job, but this was before the Americans with Disabilities Act changed the landscape for people with disabilities. In a big step toward independence, she got a service dog — named Perseverance, “Persey” for short — with help from a Craig staffer. Persey was the first service dog in Colorado, and in 1985 she was at Coski’s side when she testified before the state legislature to create laws granting service dog access. Coski developed a handicapped parking application program that has been modeled across the nation, and she helped create the Denver Disability Parking Enforcement Program. Coski learned to drive with an adaptive van and donated one to Craig to help other disabled people learn the skill.